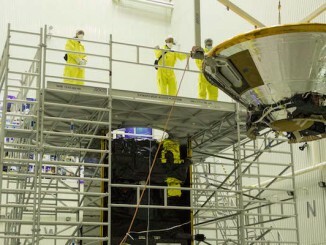 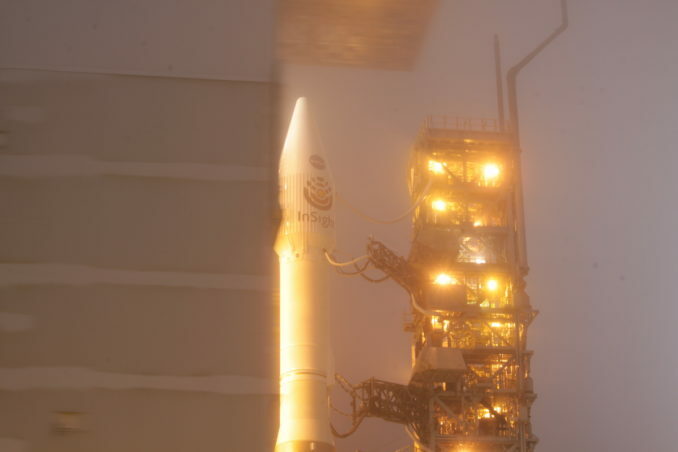 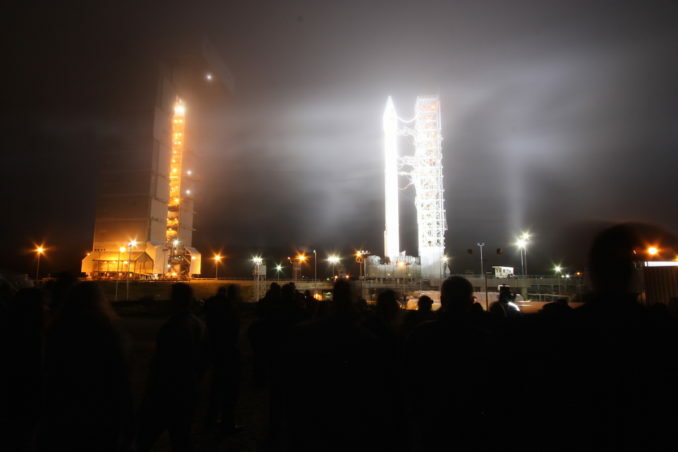 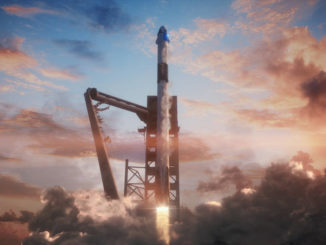 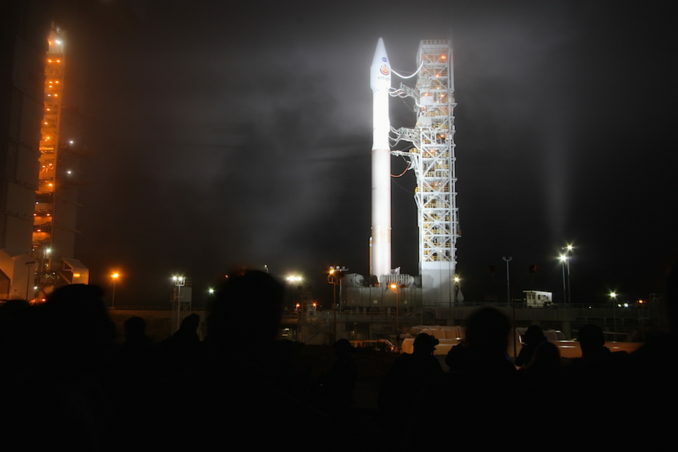 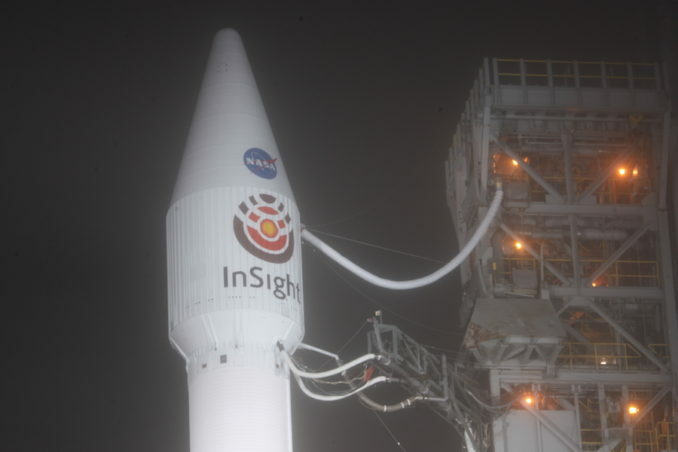 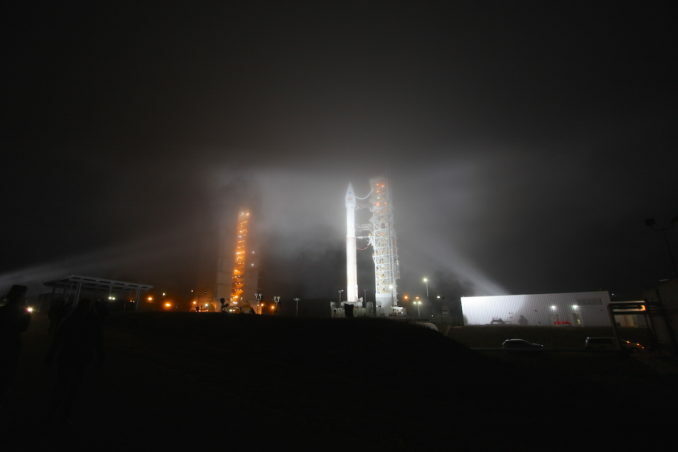 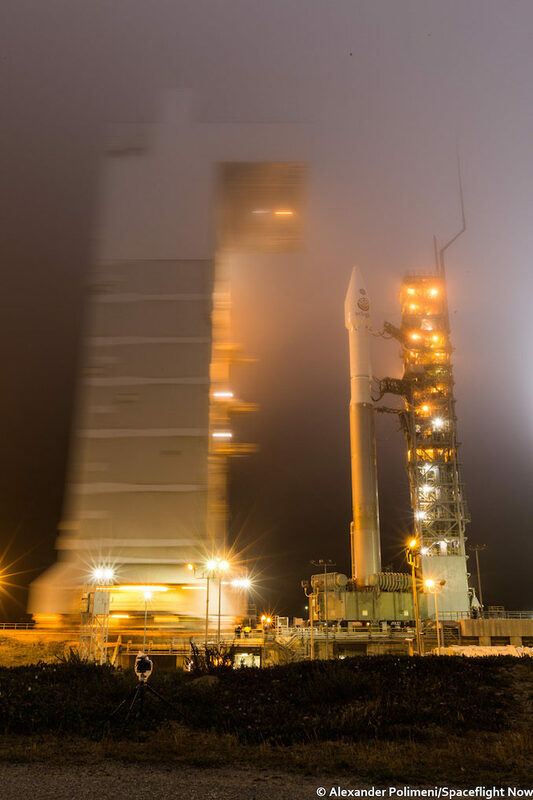 The mobile service tower began moving into launch position around 11:30 p.m. PDT Friday (2:30 a.m. EDT; 0630 GMT), around four-and-a-half hours before the opening of InSight’s predawn launch window. 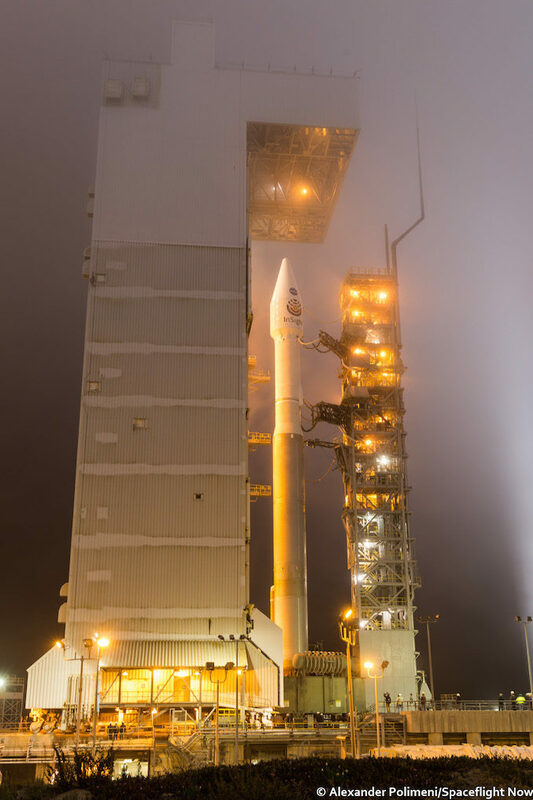 These photos show the reveal of the 188-foot-tall (57-meter) United Launch Alliance Atlas 5 rocket at Space Launch Complex 3-East. 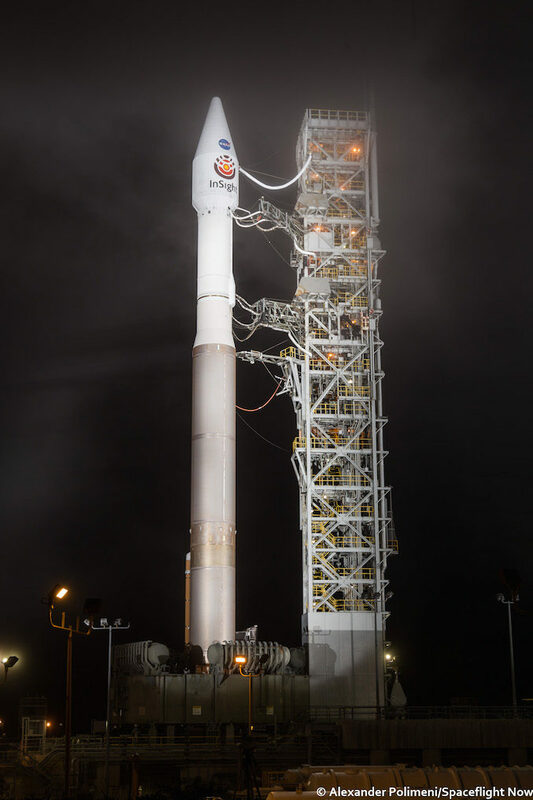 Spotlights were shined on the launcher soon after the gantry retracted. 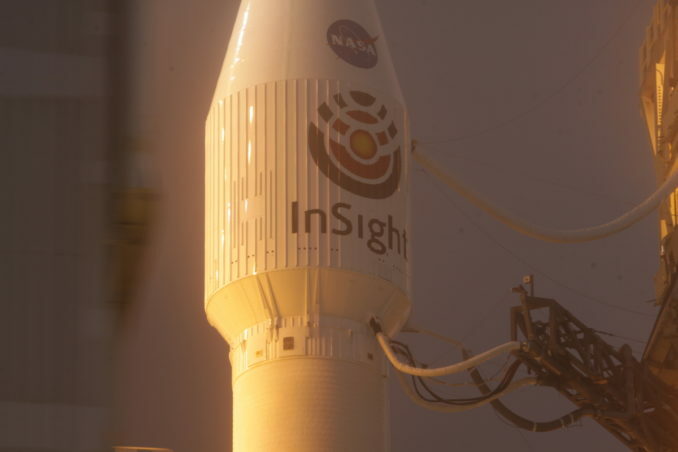 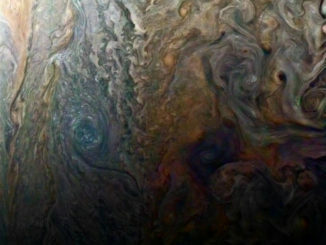 See our Mission Status Center for live updates and details on the flight.